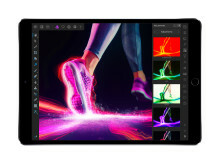 Apple’s reigning ‘App of the Year’, Affinity Photo for iPad, now includes even more powerful professional features. 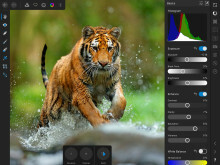 Developer Serif has issued the third substantial free update to the app since June, when Affinity Photo for iPad was launched on stage at WWDC2017. To celebrate, for a limited time, buyers can also claim three bonus content packs made specially to harness the creativity of the app on iOS. 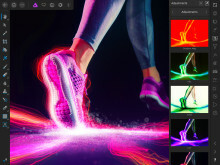 Serif Managing Director Ashley Hewson says: “These latest additions will make working life simpler than ever for photographers who have embraced Affinity Photo and the iPad as the core of their professional workflow. 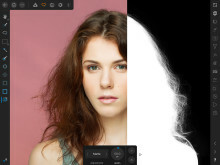 Ashley Hewson adds: “Improved RAW editing and the added convenience of using Files and Drag & Drop are further steps forward. 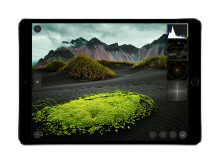 And we’re delighted to see so many users are already publishing their own tutorials, so the ‘show touches’ screen-recording capability is really big news for them. 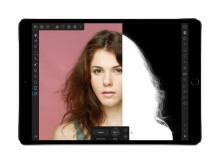 To celebrate the latest update, for two weeks Affinity Photo for iPad is being offered with two free brush packs and a macro pack, together worth almost as much as the app itself (offer ends 8 March). Affinity Photo for iPad is priced £19.99 / US$19.99 / 21,99€ (subject to regional currency variations) with no subscription from the App Store. 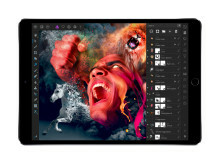 , iPad Air 2, iPad 2017, and optimised for Apple Pencil. 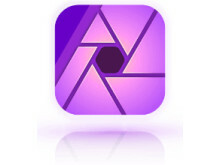 For more information go to affinity.serif.com/ipad-update. Existing users should claim the free update by following the prompts in the app. 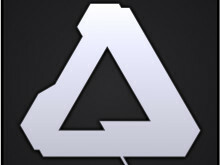 The bonus content can be downloaded from affinity.serif.com/ipad-update. 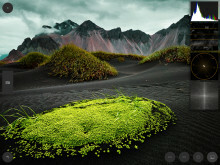 Improved camera which can shoot RAW / HDR. Ability to add your own fonts. Added ‘Average blur” filter from desktop. Can now open / edit files in place - directly from the Files app. New preferences option to show touches - good for screen recording. Improved iOS11 Drag & Drop support. Enhanced angle / tilt support for Apple Pencil. New “Constrain” modifier button for Depth of Field tool. Snapping candidates can be selected by hovering over them whilst in a drag. 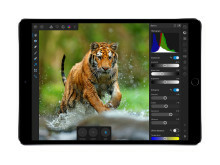 Review copies of Affinity Photo for iPad are available on request. 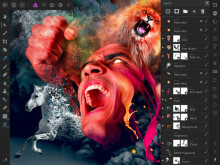 Created from the ground up, with the emphasis on speed, power, accuracy and lack of bloat, Affinity Designer and Affinity Photo received a stream of glowing reviews from Mac users around the world, before being launched for Windows and now iOS. Serif is the winner of over 200 awards internationally, with more than 6.5 million customers worldwide. The company has around 90 employees.